I have been playing Munzee just shy of two years. Like most people I started playing that “other” GPS game first. I was reading a log on one of my caches OOPS should I say that word HEHE?… and they stated that they were out looking for some weird QR thingies called Muncee or something like that and I scanned my first one that afternoon and have been addicted, obsessed, call it what you will, every since!!! I like the ease of it versus the other game. I also enjoy making people smile by watching their faces as they hear that wonderful DING when they find one of my Munzees! And there is always the joy of getting people up off the couch and getting active! I deploy on a lot of walking trails so people get a chance to get out of the car and cap!! My Wish List? Where to begin? How about 6 points for First To Capture? AT LEAST ten points on Mysteries. Just the stats that are required on the clan war page such as captures, points, deploys (not Deploy Points) and the like and updating every half hour. Oh and world peace??? I could spend all day with that one but I will keep it short as possible. When I found Munzee I knew it was the game for me!! I basically quit doing the “other” to concentrate on Munzee. At first I wanted to see how well a player could do without being a Premium Member and I almost got into the top 100, like 102 or close. But then here comes the overseas wave and that went by the wayside. I became Premium and would, and do, encourage every SERIOUS player to do so as well!! It has A LOT of perks!! I have given classes on Munzee in my home town and attended several events at which I have met several GOOD people who I consider to be good friends!! After a while being in the game you sort of grow into a community. Not to get too mushy but I feel as if some of my Munzee friends are closer than family!! Can you tell I REALLY LIKE Munzee?? Other Hobbies…. WHAT? are hobbies????? LOL Spending time with the grandkids, like going Munzee hunting, maybe fishing every once in a great while, as long as there’s a Munzee nearby to cap. And lastly going to the dirt track races. Thank you friends and MUNZEE ON!!! Greg was kind enough to share his social, so cap away! It’s been a long month of piñatas and prizes, but sadly Munzee’s third birthday is nearing its end. Worry not though, like every great birthday party, we’ve got one last surprise. This week on the podcast we announce a few big things including physical prize days to end the month. We’ve got more details below, but make sure to check out the podcast to hear about a variety of different Munzee happenings. 1. In-app deploy for Mystery Virtual Munzees and future plans to offer more in-app features. 2. Happy Birthday, Munzee Players! Here are your Clan requirements! 3. A “shocking” Munzee Marketplace update. Don’t worry folks, Dylan and Matt are okay! 4. Final days and prizes for Munzee’s #FiestaThree Birthday. 5. We wonder why #ScottThoughts isn’t trending on Twitter and Instagram like #MunzeeFound is. Keep posting folks, your random #ScottThoughts might just end up on the podcast! Along with the physical prizes, random captures and deploys will be awarded various in-game prizes as well, so you never know what you might get. Winners will be chosen and notified after August 1st, so be sure to check your inboxes after the two days of play. We’re really pushing for real world play, so social captures will not have a chance of winning a prize. Remember the more you cap and deploy the better chance you have at winning, so finish this birthday month strong! Send all feedback and suggestions to podcast@munzee.com! Thanks for listening! To check past, present and future Munzee Podcasts, visit www.munzeepodcast.com. Mystery Virtuals ON SALE NOW! After a bit of a low key third day of the birthday month yesterday, Munzee is happy to announce a few things today. We said to expect the unexpected right? Players will now have the ability to deploy Mystery Virtual Munzees from within the app. In addition to using a computer to deploy the MVMs, you’ll be able to do it all from your phone, on location. Hopefully this will make the process a bit easier on players. But what are you going to deploy to test this new addition to Munzee? Well we’re also happy to announce that Mystery Virtual Munzees are on sale NOW in the birthday section of the store. The MVMs have been knocked down to $5, but premium users will also get an additional 33% off all birthday items when they check out. There will also be a number of other items on sale in the birthday section. Mystery Virtuals will go fast though so get to buying quickly, because this sale won’t go on for long. CoachV will end the sale when he sees fit, so get to the store now. There has also been another influx of piñatas, so there’s no excuse not to get the mint, drop and lollipop before they disappear at the end of the birthday month. If there still aren’t any in your area, worry not. I’m sure CoachV will decide to throw a few more out by month’s end. Also, be sure to check out the Munzee 3rd Birthday Video starring our players! After a weekend of Munzee Birthday celebrations, we’ve complied as many social media contributions as possible to show the world just how awesome Munzee is. If you stick it through you might also get a behind the scenes look at how some members of Team Munzee celebrated the birthday! Podcast Episode 22: Rob’s Red-eye Flights across the Rhine, wrapping up the Birthday Fiesta, and Rob “drops” some teasers! This episode of the Munzee podcast is a media overload! Be sure to check our Youtube channel tomorrow for some behind the scenes fun! 1. Europe <3’s coachV! Rob revisits his trip to Cologne for the 2nd Annual Europe event. This massive event had over 100 players, and definitely shows Team Munzee our players have the potential to put on a major event! 2. Some interesting ideas get passed onto Rob when he attends an event. Did we mention coachV brings special goodies when he travels to events? 3. Points and Clan stats! How you doing (wink-wink)? 4. Wrapping up the #FiestaThree birthday and some last minute celebrations! Be sure to get your Munzee Birthday photos to iLoveYou@Munzee.com and we’ll try to squeeze them into our big birthday project! While most of our birthday has been about giving back to our players, we want to take some time to acknowledge (and reward) those who further the Munzee business across the world. Today our birthday celebration includes a group of people we’ve come to appreciate over the past 18 months, our authorized resellers! They will receive a 33% discount for the next 72 hours on orders for next month’s product. We’re sure players will see a portion of that discount passed on by the resellers during the next month on some items as a continued celebration of the 3rd birthday. We appreciate what the resellers do to grow the game of Munzee and provide quick regional and worldwide shipping options. Check them out at www.munzee.com/retail. Players, don’t forget that if you actually go to an authorized Munzee reseller’s physical location you’ll receive a special badge as well. Online orders won’t get you the badge though so find a reseller location near you! We’d also like to thank the resellers for working through a minor issue that has come up over the last 4 weeks with some duplicate minizees that were printed by our supplier. The issue has been worked out, but any player effected by this problem should reach out to their reseller or MHQ via support@munzee.com. What makes Munzee stand out among the sea of smartphone apps is its close ties to healthy activity. While the Munzee community is deeply devoted to ever-evolving technology, we also encourage our players to continue to get out into the world and adventure. Whether it’s the urban landscapes or countryside, Munzee takes its players all over. Nathan Toliver (SemiPaw) is this week’s Player of the Week and his love of the wilderness is fueled even more by his love of finding greenies. My name is Nathan Toliver and my munzee handle is Semipaw. I live in the heart of the Ozarks smack dab in the middle of the Midwest (Ozark, Missouri, USA). I began munzeeing in February of 2014. I’ve always enjoyed getting outside and exploring, especially hiking on trails and getting out into the woods. We have plenty of trails here in the Ozarks region of southern Missouri and northern Arkansas and when I looked at the map and saw a bunch of munzees lining many of our trails, it gave me one more reason to get outdoors and go for a hike. Although I enjoy all munzees, I really like the ones that are placed out on the trails and require a little effort to cap. My favorites are the lonely greenies that have been deployed years ago and have gotten very few (if any) visitors. I find it exciting to find something that had been hanging (or sticking) quietly for so long without being found. There are so many lonely little greenies hanging out here in the Ozarks, it will probably take me years to cap them all. But that’s my goal. I also really enjoy the clan wars. I love having goals each month to work toward. I find it a lot of fun to track me and my clanmates progress each month as we work toward a common goal. Speaking of clans, I must give a shout out to the Ozark Power Players clan. We’ve got a great clan, have a lot of fun, and shoot for chuck (or now super-chuck when we can) every month. It’s a great group of people who really try to help each other every month. As one can imagine, I really enjoyed the triple points day on greenies that occurred in July. I spent almost the whole day out in the hot July sun deploying and capping greenies that day. I would love to see more days like that. Even a double point day would be appreciated. I also would love to see greenie captures incorporated more into the clan wars, to get more people out capping them. I’ve lived in the Ozarks my whole life. Whenever I’m not munzeeing, I enjoy getting outdoors and hiking (which now usually incorporates munzeeing). My wife and I have been married for almost 14 years, and we have eight children that keep us busy. I am passionate about nature and preserving natural areas for future generations. I love the fact that munzees can lead me to a place I have yet to explore, and allows me to take others to such places. Semipaw was kind enough to share his social, so cap away! 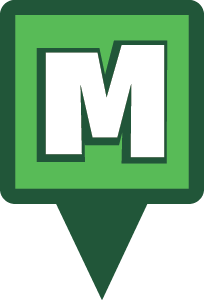 Meet Munzee Munday: The Munzee Marketplace! Here at Munzee we’re constantly encouraging our players to meet and greet and build the personal relationships that make this game so great. Over the next few weeks we’ll be showcasing members of Team Munzee so our players can get to know us a bit better. So each Munday (see what we did there?) check in to see a new member of Team Munzee and you decide if you trust the game in our hands. Team Munzee is a bit busy this week moving into the new office, continuing birthday celebrations and just staying cool in this Texas summer heat. So instead of showcasing an actual Munzee employer this week, we’re showing off the latest addition to the team, The Munzee Marketplace! Right in the heart of Munzee Headquarters in McKinney, TX. I live at 111 E. Virginia which McKinney residents will know as the former Garrett Art Gallery. Unfortunately after 29 years in downtown McKinney the Art Gallery had to close it’s doors in April 2014. Although we were sad to see it go, we’re excited to continue to honor the downtown McKinney spirit and make the space thrive. What started as a front for our QR based scavenger hunt app, the Munzee Marketplace has evolved into so much more. Featuring Breadwinners sandwiches and many more notable DFW area goods, the Marketplace brings local fare to a new level. Munzee is eager to become a staple in the McKinney community. Munzee has something for everyone, even more so now. Whether you are a Munzee player or you work in downtown McKinney, the Marketplace is here to serve your needs. Looking for a quick grab and go snack on your lunch break? Interested in a compelling, competitive smartphone app with an international fan base? Stop by the Munzee Marketplace and we’d be happy to help. I’m a bit new… Technically I haven’t even started yet, but we’re hoping to change that very soon! The doors to the Munzee Marketplace will open soon and just today Team Munzee started moving into the new office space! Although the tech guys are huffing a bit about the manual labor, we’re all very excited to move into the much larger (and more appealing) space! How did you discover Munzee? Really, Munzee discovered me. What started as simply a need for more space at MHQ turned into the something so much bigger. Team Munzee saw a need for downtown McKinney to have a grab and go convenience store. Although there are a number of great places to dine downtown, it can get pricey for the business owners and employees downtown to eat out every day. The Munzee Marketplace is dedicated to offering a quick, affordable bite to eat. 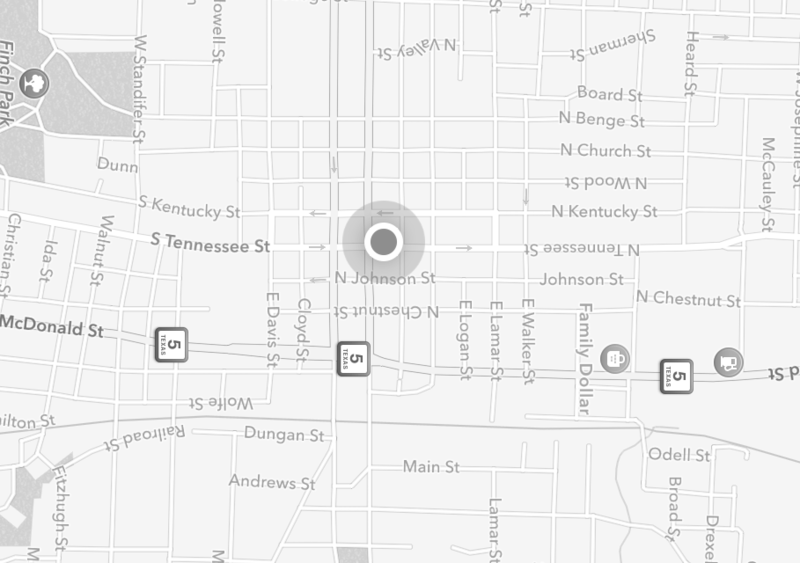 Munzee, much like Downtown McKinney, is unique by nature. While it may not seem like a logical step for a QR based scavenger hunt app to open a Marketplace, Munzee isn’t interested in doing whats logical. We’re constantly looking at interesting new ways to shake things up and my creation is only the next in a long line of ideas coming to fruition! Serving the fine people of McKinney a tasty, yet affordable lunch. Getting Munzee players everything they need including game pieces, apparel and souvenirs. Providing Team Munzee with as much craft coffee as needed to keep them alert and focused on expanding the game! Munzee Game Prize Day Begins! The presents will be awarded to random captures after the day ends. So those who cap from 11 AM (MHQ time) Monday July 21st until 11 AM the next day will have a chance to win one of the Munzee prizes. Remember the more you cap the better chance you have at winning, so don’t let a case of the Mondays hurt you chances! Although we at Team Munzee have had a ton of fun celebrating our third birthday, we’re missing a vital piece of this puzzle: our players. So throughout this weekend we want you all to show us how you celebrate Munzee. From July 18th until Sunday the 20th share your pictures and videos with us on social media. Just add #BirthdayMunzee in your posts and we’ll include your submission in a munzee video/slideshow for everyone to see. We want everyone across the world in this. Whether you’re eating cake, singing happy birthday or shooting off fireworks we want to see it. And that’s not all, If you share your content on Twitter, Facebook or Instagram with the correct #BirthdayMunzee you’ll be entered for a chance to win more birthday prizes. Remember it’s only from today until Sunday, so make sure to get your submissions in. On behalf of everyone here at Munzee thank you for three great years of support and we can’t wait to see how you celebrate the 21st Century Scavenger Hunt we all know and Love.